Mr. Chairman, My delegation takes this opportunity to reply to some of the comments and concerns made today. Regarding the question of the doctrine of discovery and the role of the Papal Bull Inter Coetera, the Holy See notes that Inter Coetera, as a source of International Law, the division of lands between Castile-Aragon (Spain) and Portugal was first of all abrogated by the Treaty of Tordesillas in 1494 and that Circumstances have changed so much that; to attribute any juridical value to such a document seems completely out of place. Similarly, as a source of Canon or Church Law, since the document had called for excommunication latae sententiae those who do not respect its dispositions, Inter Coetera has also been abrogated by the facts, first and foremost by the unsanctioned immediate expansion of the territory of Brazil to the west well beyond the Treaty of Tordesillas and by the colonization of North America and the Caribbean by the King of France. In addition, it was also abrogated by other Papal bulls, for example Sublimis Deus in 1537 which states, “Indians and all other people who may later be discovered by Christians, are by no means to be deprived of their liberty or the possession of their property, even though they be outside the faith of Jesus Christ; and that they may and should, freely and legitimately, enjoy their liberty and the possession of their property; nor should they be in any way enslaved; should the contrary happen, it shall be null and have no effect.” This position was expanded upon and reinforced in Immensa Pastorum of Benedict XIV of 20 December 1741 and a number of other Papal Encyclicals, statements and decrees. If any doubt remains, it is abrogated by Canon 6 of the Code of Canon Law of 1983 which abrogates in general all preceding penal and disciplinary laws. As you may gather from the above, this abrogation process took place over the centuries according to the legal maxim: Lex posterior derogat priori, i.e. a subsequent law imports the abolition of a previous one. 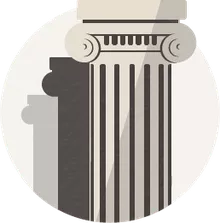 Therefore, for International Law and for the Catholic Church Law, the bull Inter Coetera is a historic remnant with no juridical, moral or doctrinal value. Further, the doctrine of the temporal power of the papacy, upon which Inter Coetera rests, was finally overturned by the Second Vatican Council. Finally, the doctrine of forced conversion of non-Christians was contested and changed by the Junta Teologica de Valladolid (1550-1551), not long after the bull of Alexander VI, and was also condemned by Vatican II. Further, the assertion that wars of conquest are justifiable in order to convert non-Christians was completely overturned by the documents of the second Vatican Council (see above) and by the general condemnations of war. The fact that juridical systems may employ the “Doctrine of Discovery” as a juridical precedent is therefore now a characteristic of the laws of those states and is independent of the fact that for the Church the document has had no value whatsoever for centuries. The refutation of this doctrine is therefore now under the competence of national authorities, legislators, lawyers and legal historians. Regarding the concerns raised against the educational programs of the Church and its boarding schools in different parts of the world, my delegation would like to clarify that the ultimate objective of the church was to offer the indigenous population improved education. Most of the leaders of such communities were formed in such education centers and are grateful for the services that received from the Church. Education is the key to development, especially when different models of development are imposed without respect for the indigenous culture and identity. The Holy See recognizes the right of the indigenous peoples for education, for development and their traditional beliefs. For the shortcomings and mistakes the Church has sought always means of dialogue and reconciliation. Last year, for example, when Pope Benedict XVI received the representatives of the First Nation is Canada, this issue was discussed. In addition, in a number of meetings and discussions with Indigenous peoples from around the world, Pope John Paul II also reiterated the Holy See’s support for the rights of indigenous people while acknowledging and asking forgiveness for past mistakes by missionaries. With this explanation, I hope the following becomes clear: 1) The Holy See confirms that Inter Coetera has already been abrogated and considers it without any legal or doctrinal value; 2) The Holy See, in accordance with Catholic social teaching, is consistently paying particular attention to the relationship of indigenous peoples to their lands and resources; 3) The Holy See, as demonstrated also by our support for the recent Declaration of the Rights of Indigenous Peoples, will continue to be an outspoken moral voice in support of the dignity and rights of indigenous peoples. Bartolome de Las Casas (1484-1566) was a Spanish Dominican friar who became famous for his defense of the rights of the native people of the Americas. His brave stand against the horrors of the conquest and the colonization of the New World earned him the title “Defender” of the Native Americans. Christopher Columbus was well-known to the Las Casas family. Young Bartolome, then about 9 years old, was in Seville when Columbus returned from his first voyage in 1493 and might have met members of the Taíno tribe that Columbus brought back with him. Bartolome’s father and uncle sailed with Columbus on his second voyage. The family became quite wealthy and had holdings on Hispaniola. 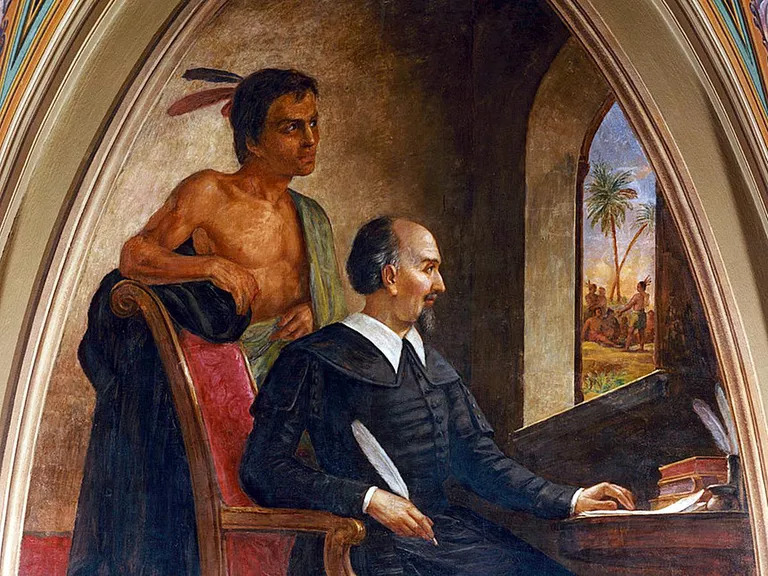 The connection between the two families was strong: Bartolome’s father eventually interceded with the pope on the matter of securing certain rights on behalf Columbus’ son Diego, and Bartolome Las Casas himself edited Columbus’ travel journals. Las Casas decided that he wanted to become a priest, and his father’s new wealth allowed him to send his son to the best schools at the time, the University of Salamanca and then later the University of Valladolid. Las Casas studied canon law and eventually earned two degrees. He excelled in his studies, particularly Latin, and his strong academic background served him well in years to come. In 1502, Las Casas finally went to see the family holdings on Hispaniola. By then, the natives of the island had been mostly subdued, and the city of Santo Domingo was being used as a resupply point for Spanish incursions in the Caribbean. The young man accompanied the governor on two different military missions aimed at pacifying those natives who remained on the island. On one of these, Las Casas witnessed a massacre of poorly armed natives, a scene he would never forget. He traveled around the island a great deal and was able to see the deplorable conditions the natives suffered. Over the next few years, Las Casas traveled to Spain and back several times, finishing his studies and learning more about the sad situation of the natives. By 1514, he decided that he could no longer be personally involved in the exploitation of the natives and renounced his family holdings on Hispaniola. He became convinced that the enslavement and slaughter of the native population was not only a crime, but it was also mortal sin as defined by the Catholic church. It was this iron-clad conviction that made him such a staunch advocate for fair treatment of the natives in the years to come. Las Casas convinced Spanish authorities to allow him to try and save the few remaining Caribbean natives by taking them out of slavery and placing them in free towns, but the death of Spain’s King Ferdinand in 1516 and the resulting chaos over his successor caused these reforms to be delayed. Las Casas also asked for and received a section of the Venezuelan mainland for an experiment. He believed that he could pacify the natives with religion, not weapons. Unfortunately, the region that was selected had been heavily raided by slavers, and the natives’ hostility to the Europeans was too intense to overcome. In 1537, Las Casas wanted to try again to show that natives could be controlled peacefully and that violence and conquest were unnecessary. He was able to persuade the crown to let him send missionaries to a region in north-central Guatemala where the natives had proved particularly fierce. His experiment worked, and the natives were brought under Spanish control peacefully. The experiment was called Verapaz, or “true peace,” and the region still bears the name. Unfortunately, once the region was brought under control, colonists took the lands and enslaved the natives, undoing almost all of Las Casas’ work. Las Casas’ early years were marked by his struggle to come to terms with the horrors he had seen and his understanding of how God could allow this kind of suffering among the Native Americans. Many of his contemporaries believed that God had delivered the New World to Spain as a reward of sorts to encourage the Spanish to continue to wage war upon heresy and idolatry as defined by the Roman Catholic Church. Las Casas agreed that God had led Spain to the New World, but he saw a different reason: He thought it was a test. God was testing the loyal Catholic nation of Spain to see if it could be just and merciful, and in Las Casas’ opinion, it was failing God’s test miserably. It is well-known that Las Casas fought for justice and freedom for the New World natives, but it is frequently overlooked that his love for his countrymen was no less than his love for the Native Americans. When he freed the natives working on the Las Casas family holdings in Hispaniola, he did it as much for the sake of his soul and those of his family members as he did for the natives themselves. In the later part of his life, Las Casas translated this conviction into action. He became a prolific writer, traveled frequently between the New World and Spain and made allies and enemies in all corners of the Spanish Empire. Next Journey of faith: love drives people to do courageous things!